How Do I Join CETA? Why Should I Join CETA? How Is the Spec Guide Offered? How Do I contact CETA? How Do I Become More Involved in CETA? CETA, or the Controlled Environment Testing Association, is a non-profit trade association devoted to promoting and developing quality assurance within the controlled environment testing industry. Affiliate: Any person employed by a government agency or university who has an interest of involvement with the certification of controlled environments. These members may have in-house certification programs, but may not offer such services outside of their organization. 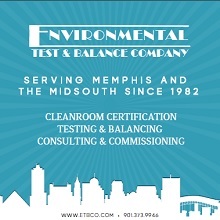 Standard: Any person involved with the testing and certification of controlled environments. Becoming a member of CETA not only offers scholarly publications, access to the annual meeting, and a network of other professionals, it is an opportunity to be recognized as a leader in the controlled environment field. CETA members also gain exposure on the online association membership directory. For more details visit our Join CETA page. How Often Is the Spec Guide Produced?The Spec Guide is available as an Ipad,Ipod, Android application. We also offer a web version for computer users. CETA is always looking for productive, energetic committee members. If you would like to volunteer your time, please contact the CETA office at [email protected].